Over and over again, you will hear that position is a very important factor in playing no limit hold’em poker. This is especially true when the stacks are deep where the betting rounds during the turn and the river can result to large pots. Good players will often not hesitate to fold cards, which lesser skilled players will risk, when they are in a a bad position rather than throwing away their money. When you have a good hand, it might be easier to adjust with your bad position. Let us say you have a pair of sixes and you are out there to get a set but no set is revealed upon the flop, then goodbye. Another choice of play is keep on firing when you get a set on the flop. This may not be the case with connectors which usually flops about 4/5 of the hand. 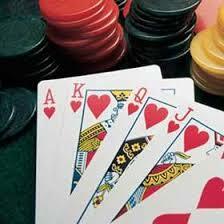 The pot odds to in order to have a flush or a straight is not favorable. It is a good reason to celebrate when you are out of position and you still win what is in the pot when you have only a big pair. Some action is nice when you have a big pair but you should not allow your opponent to get in cheap since he still has a chance in case he outflops your hand. Make the other player play for the opportunity to grab away your chips. When you are holding pocket 10s or maybe A-Q and you are on either the BB or the SB, things can get pretty awkward when the player on the button is quite aggressive and open-raises. So what should you do? Do you fold? Of course not. Do you call or re-raise? If you have cards like A-Q it might be wise to just call with chances of hitting the cards about 33% of the time while the pair of 10s might be more challenging since they only get better one of eight ties. In anyway, give your opponent a chance to fold when you are out of position.